While we spend our time teaching our dogs new tricks, we often forget how much our dog is actually teaching us. Whether they are showing us new ways to enjoy the small things in life or building up our confidence as owners, our dogs are some of the best teachers out there. This is especially true when it comes to giving lessons on how to live our life to the fullest. 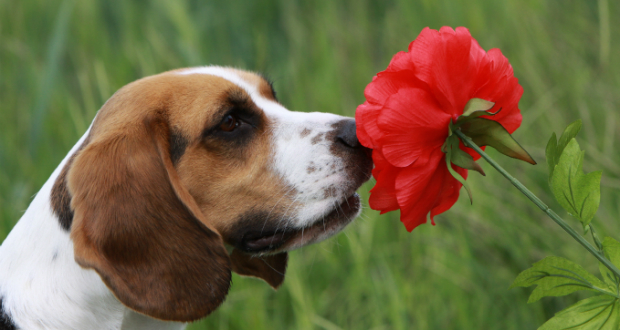 Did you know that dogs can smell up to 1,000,000 times better than a human and that dogs communicate to others via the scents they leave behind? No wonder they spend most of their days with noses to the ground! While dogs take so much time sniffing, us humans are busy ignoring the signs nature leave behind for us to enjoy. Instead of rushing through your day, follow the dog’s way by using your senses (sight, taste, touch, hearing, and, yes, smell) to find new and exciting ways to enjoy our environment. Whether it be the smell of a spring rain or the sound of a child laughing, these are all moments we should take in with the openness and curiosity like our dogs.